Travelling to Scandinavia? Or are you buying a new bed in/from Scandinavia? In our Scandinavian Bed Size Chart, you will find the dimensions of different Scandinavian bed sizes. These bed sizes are used in Norway, Sweden, Denmark, Iceland and Finland. 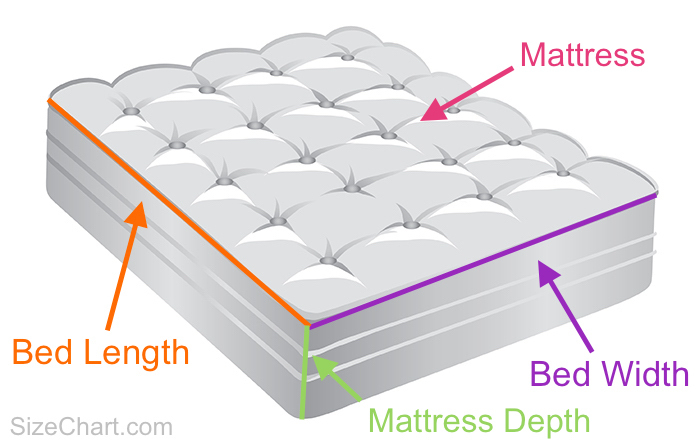 Scandinavian Bed Size refers to mattress size (width and length). See illustration above. Measurements in CM. For measurements in Inches, see bottom of page. Scandinavian Bed Size refers to mattress size (width and length). See illustration above. Measurements in CM. For measurements in Inches, see above. Tips, tricks or questions about Scandinavian bed sizing? Please post it below. Thanks!